Because we see the value in doing this and we know a lot of designers want to improve how they present their work to clients, today we’re going to talk about things to keep in mind when presenting your work and how exactly to go about the presentation process! While our clients know that we’re the expert, sometimes they forget why they hired you. 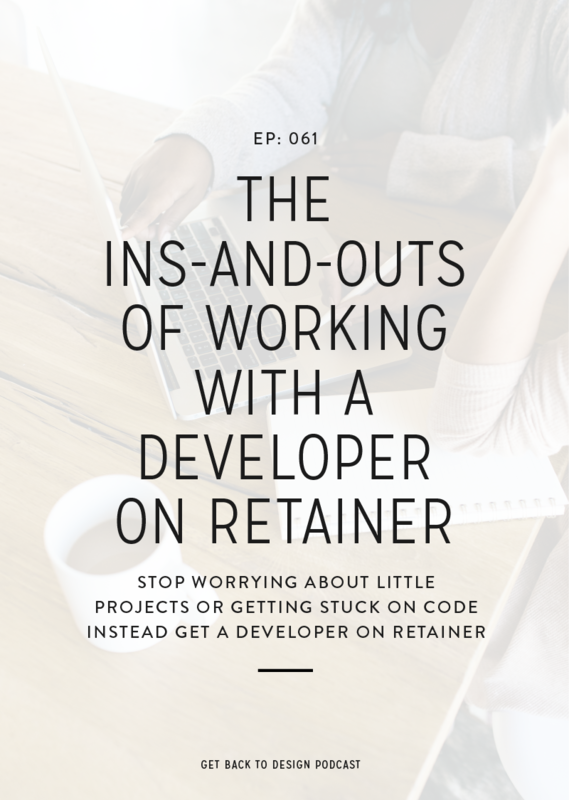 I’m sure you’ve worked with a few clients who treated you like they were the design expert, and it’s no fun to put it politely. When you take the time to explain the rationale behind your design decisions, it can really highlight that you know what you’re doing. This will encourage them to trust you even more with their project. Most clients know the value of design and what it can do for their business, but sometimes they can forget those things and look at your work as something just aesthetically pleasing to look at. However, when you’re presenting the work to your client, you can help them avoid getting hung up on the aesthetics alone. The important thing to remember, though, is that you don’t want to over-explain what you’ve done, but we’ll talk about that a little more later. When the client has a better understanding of what you’ve done and why you’ve made the decisions you’ve made, their revisions are less likely to be lots of little tweaks. Instead, they’ll be able to focus more on the overall aspects of the design and relate those things directly to their audience and their goals (two things you can remind them to think about in your presentation). There are a few things you’ll want to take into consideration when you’re getting ready to present your work to your clients. By intentionally preparing for your presentation, you’ll be able to ensure that it’s successful. We heard Jamie mention in episode 35 that her and her team do it this way. 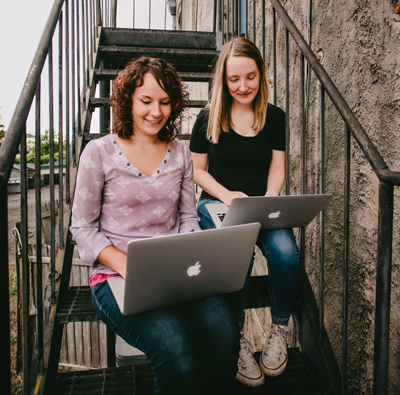 She had a great tip that they simply explain their design decisions and ask if there are any questions but avoid getting feedback until the client has more time to look over the work. If you’re not super comfortable with taking phone calls, this is a great option because it still lets you verbalize your rationale. Also, keep in mind that you don’t necessarily need any fancy software to do this. You can get away with using your Apple headphones with a mic and QuickTime on your computer. Krista also shared that Loom is her favorite tool to use for this. 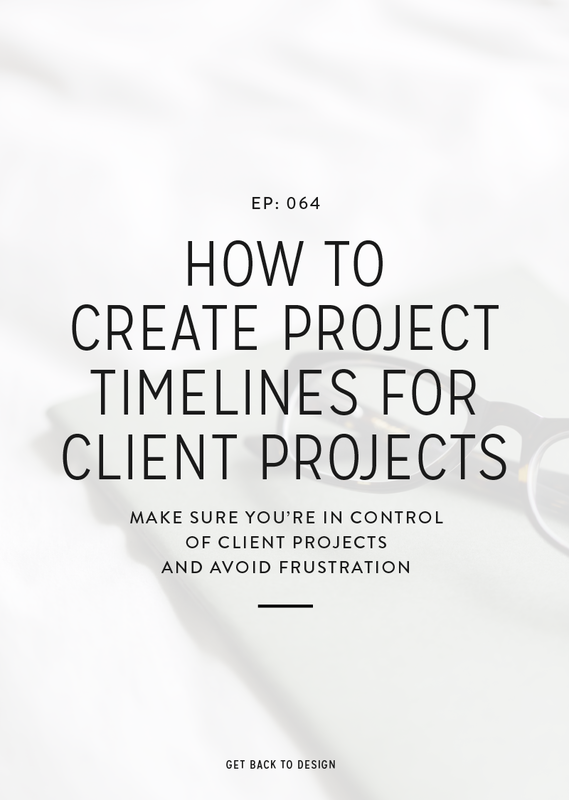 If you’re really not into the other two options or can’t make time to do them, the last option is to include your rationale in your project management when you upload your designs. This is the easiest way to do it, but it’s not necessarily the most effective. If you’re not used to explaining your rationale to anyone, then it’s a good idea to start getting into the habit of taking notes while you’re working. This will help you know the exact points you want to make when presenting your work to your clients when the time comes. You’ll also eventually get more and more confident, which means you won’t always have to take notes. Okay, you’ve made it this far! Now you’re ready to actually present your work to your clients. There are a few things you want to keep in mind when you’re getting ready to do your presentation. Strategy / benefits they’ll see – especially if you’re presenting website design! 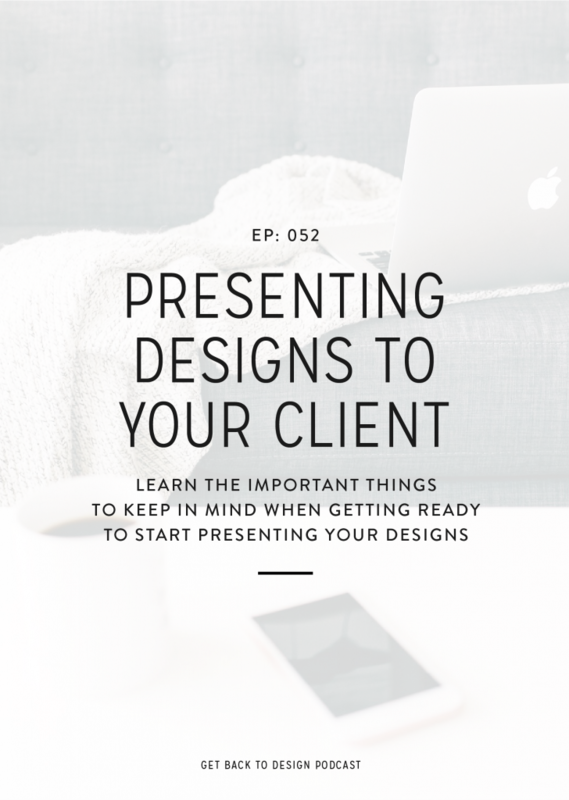 In episode 42 we talked about why it’s important to educate your clients, and when you’re presenting your designs you’re obviously doing a little bit of this in explaining why you made some of the decisions that you made. 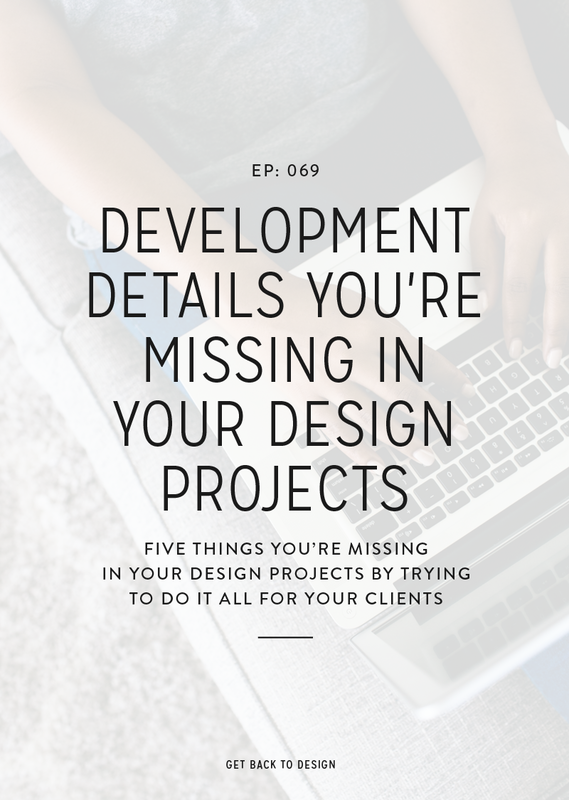 However, you do want to make sure that you’re avoiding overwhelming the client with too many details. Remember – you don’t have to explain color psychology or design theory. It’s also important to avoid too much industry jargon. Your client likely doesn’t understand these things, so unless they ask for more detail, it’s okay to leave a certain amount of it out. When you’re presenting over the phone or by a video presentation, make a note on your outline to literally take a deep breath. If you think I’m being silly, think back to the last time you were on the phone or a video call with a client. Did you leave that call feeling a little winded? Like you’d just ran a marathon? That’s because it’s all too easy to get nervous or just flat out excited about what you’re talking about and end up talking way too fast. 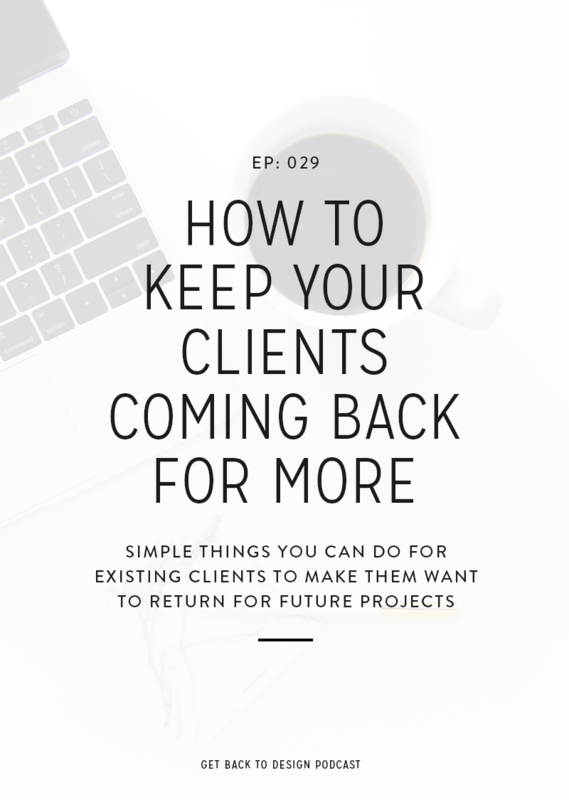 Slowing it down will help you sound even more confident and make sure that you’re not going too quickly for your client to keep up.